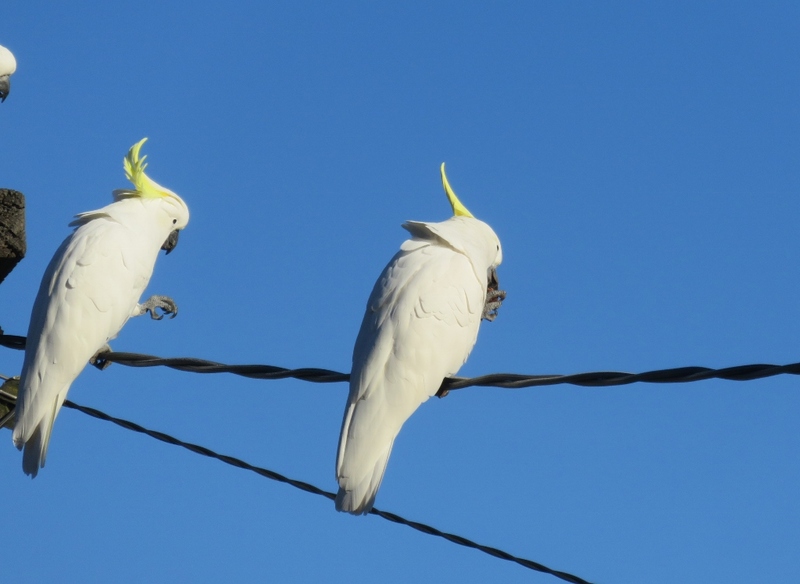 Thanks Peter, yes we’ve learnt our lesson putting out food for the birds … The cockatoos dominated the lot! But the bonsai …they will stop at nothing! 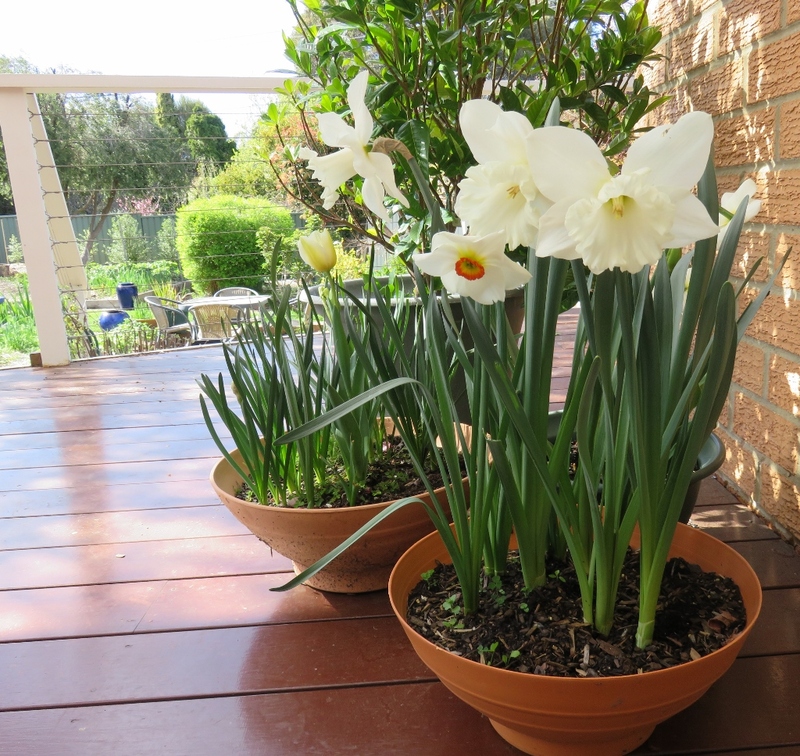 Thanks Ruth … Yes they never move away from a camera! This my absolute favourite post so far. How great are these birds! Glad you liked it. The cockatoos really handed this one to me on a plate! Oh my goodness, the squirrels and chipmunks sound dreadful…worse than possums which we have in some parts of Canberra. Is there much difference between the two?…chipmunk has a better dentist? 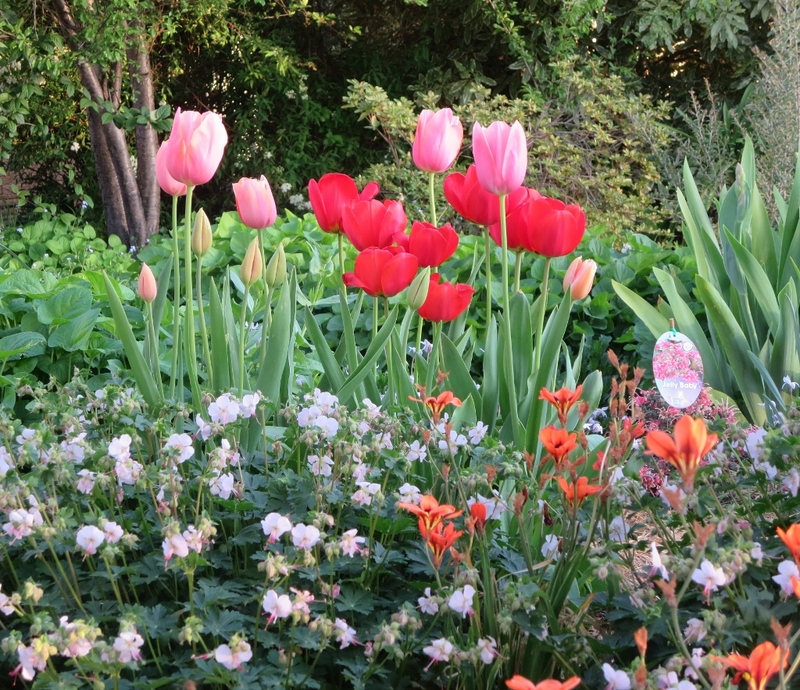 Anyway, as the Irish would say, Judy, you must be a very hardy gardener to keep going! If they are anything like squirrels then yes, they seek revenge! But I do love all your birds. They’re such characters. A bit like me and my pheasants, you can’t fall out with them for long. 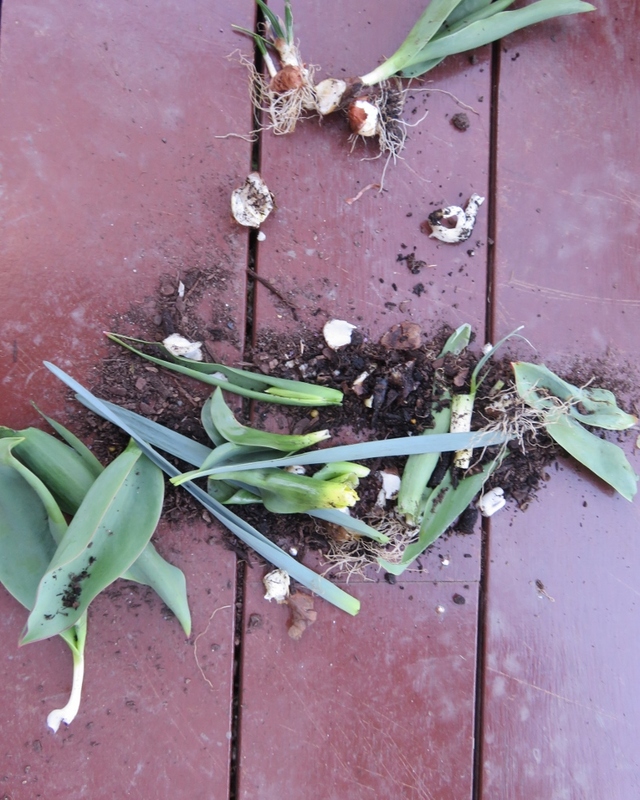 Squirrels seem to be the bete noir of all overseas gardeners, and I bet those pheasants can do some damage. Yes, the birds are very colourful here, in more ways than one. 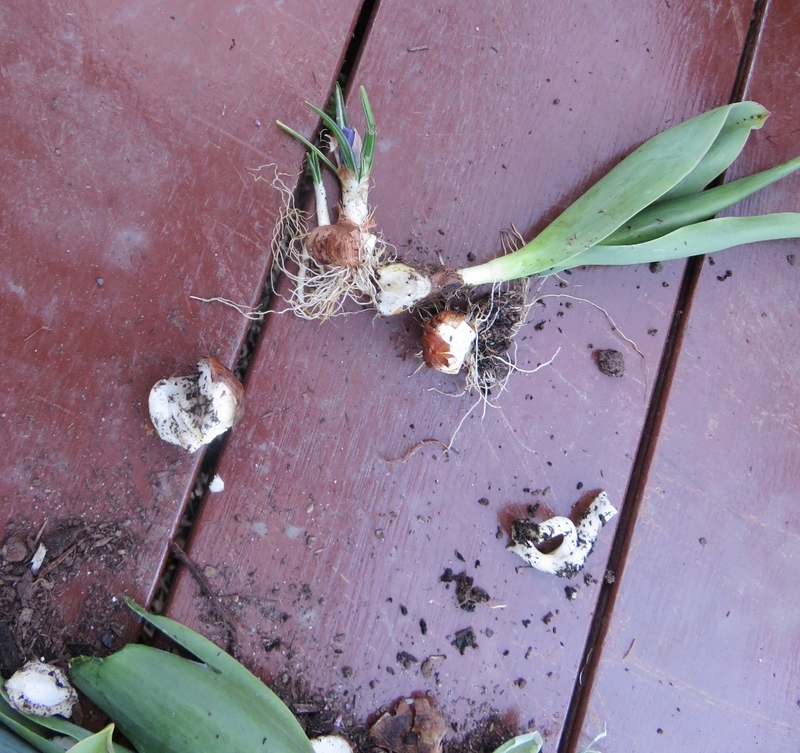 poor tulips, and I’m sure the almonds taste better! I think the Cockatoos would agree…especially after rain. 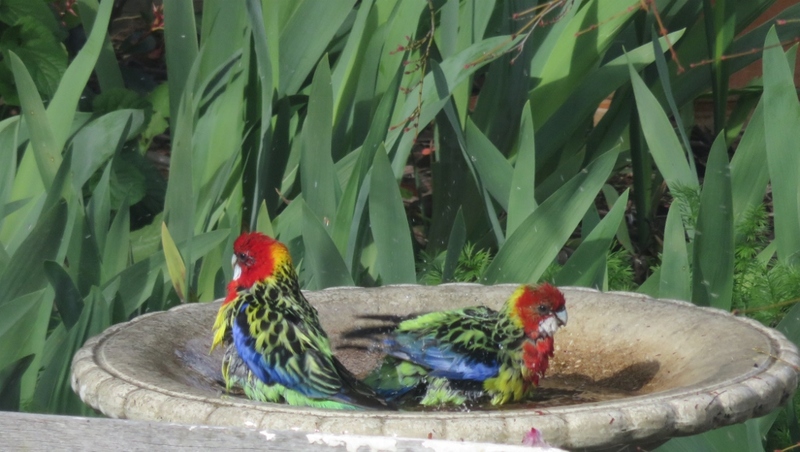 What amazing birds you have – those Rosellas! As for the Cockatoos, apparently they should not be messed with. 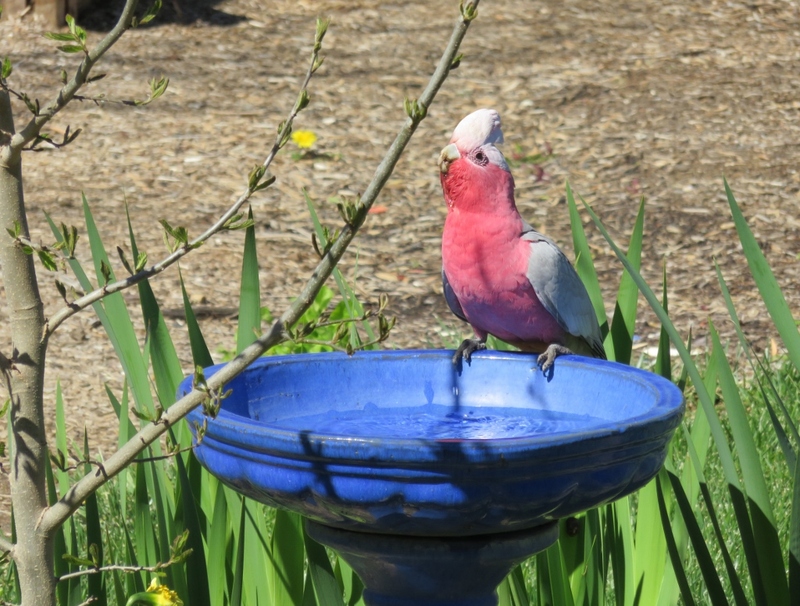 Yes, the Rosellas (and all the parrots) are very colourful and gentle visitors to the garden..
What a post! I just loved it! Such a fantastic story, I laughed, feared for you and yet more repercussions, laughed again, and was happy it all ended so well……if it does down the line….lol! How I wish they were here! Glad you liked the story, the Cockatoos really handed that one to me! 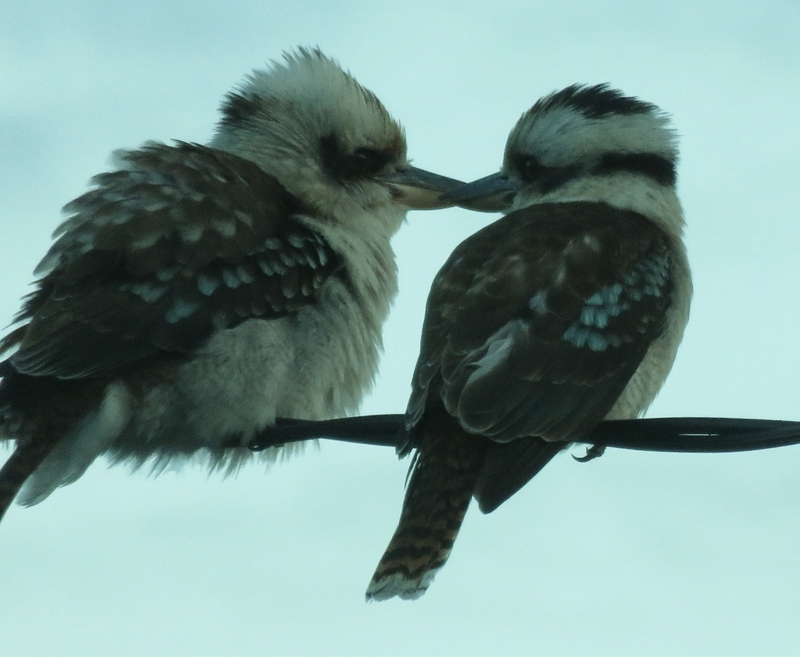 The Kookaburra chicks are very cute, and always seem sociable. The poor Rosella, I just hate to think about the illegal trade in birds, they looks so beautiful in the wild. Hi Geraldine. We are in Western Australia and apparently run a popular bird restaurant but only fir selected diners. 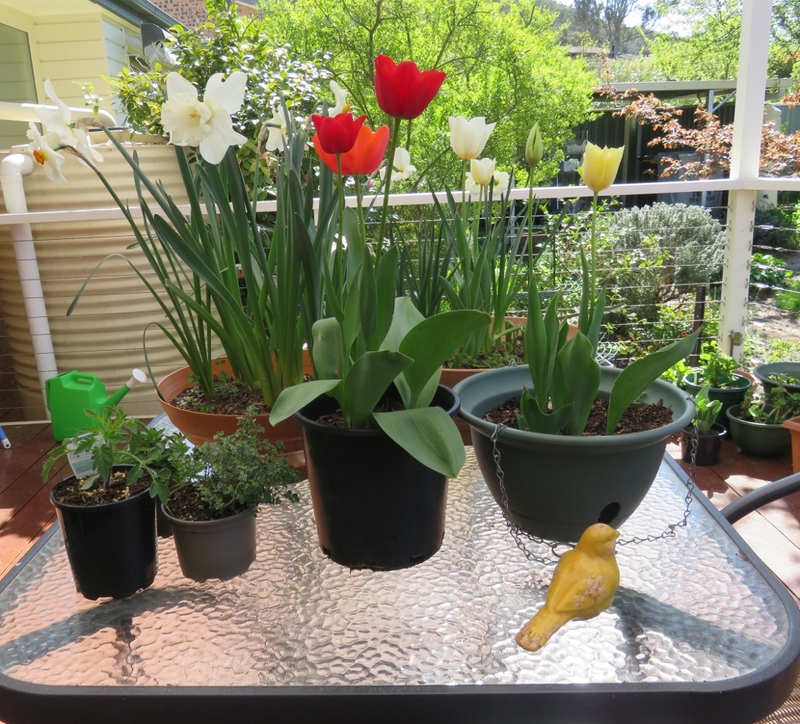 One escaped corella we call Helli started coming five years ago. He now has a mate call we call Hello Two and she’s been coming for two years but no young ones yet. 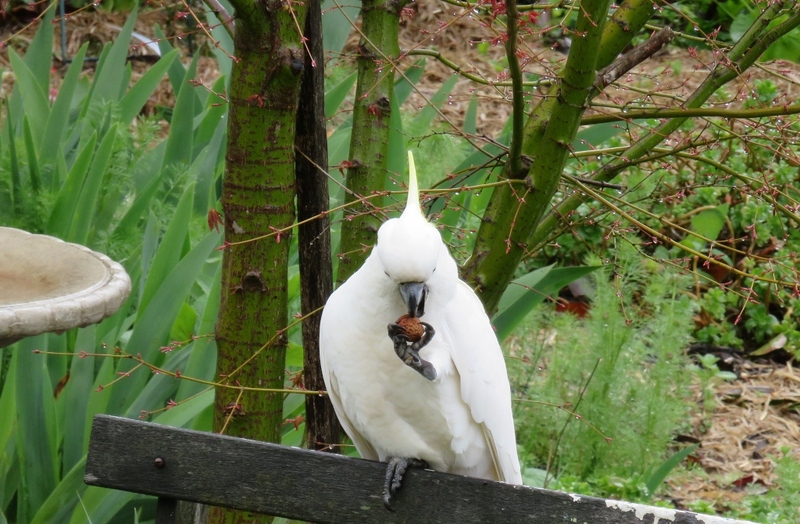 I sit next to them until they’ve finished eating because the other corella chase them off then I take the seed away. 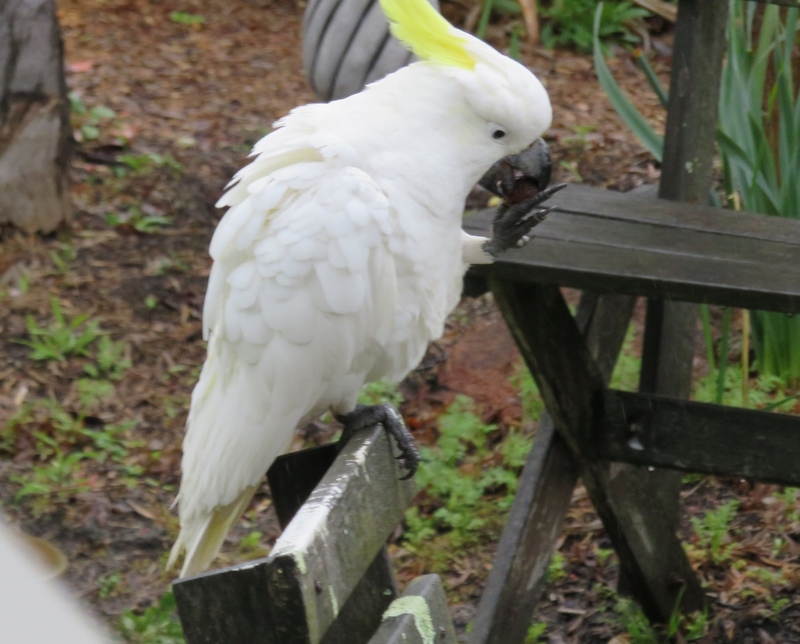 This morning a sulphur crested cockatoo came for v brekky. He has been watching from afar for about two weeks. He was very hungry and Hello had to wait patiently until he’d eaten, had a long drink from the bird bath and a shower under our sprinkler – it was our watering day. I think we now have another regular. Hi Kathy, what great stories you have about your birds, and your bird restaurant. 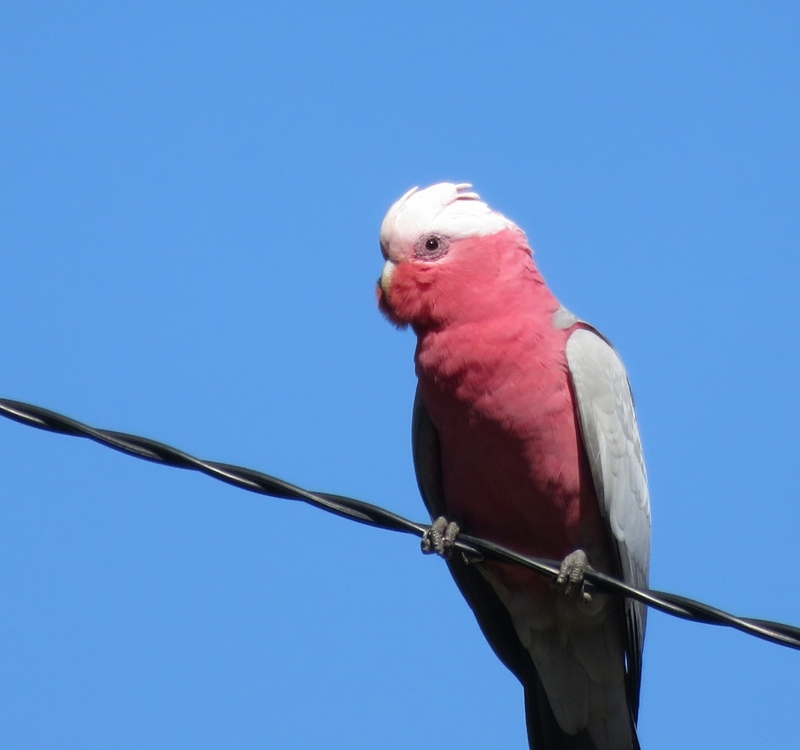 You could do with your own blog about birds…entertainment every day! 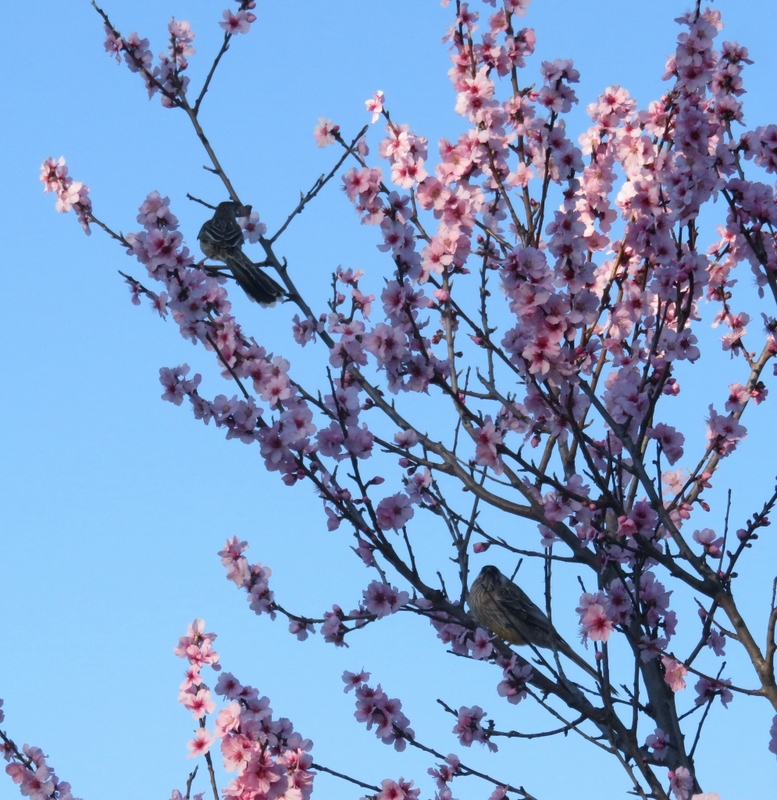 It was only when I started writing a blog that I realised how fascinating our birds are to people from other countries. They are big, loud and noisy, with so much personality! We also love our magpies, they are regulars in the garden. And who needs to travel when we have such entertainment at home? 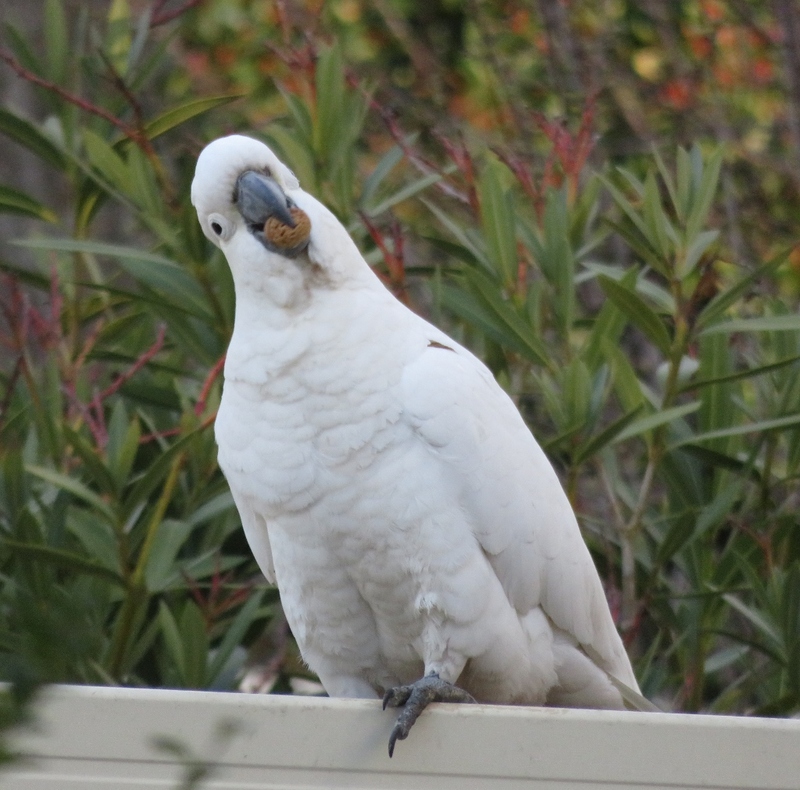 I’m so glad you have found my blog, and are enjoying the cockatoo stories, because I sometime wonder if I am overdoing the stories on birds in the garden, especially the cockatoos. Keep enjoying your birds, and I hope you can follow future stories of mine on birds..